Call Heath (205) 620-1818 Vestavia Hills AL. Our customer had difficulty driving his car up his driveway without dragging vehicle's bumper. Dirtworks and Bobcat Service removed portion of driveway by using a jack hammer and bobcat. 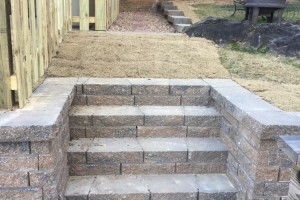 After removing old concrete we regraded and repoured new concrete drive. Our customer is now able to not only drive but also pull his boat up driveway. 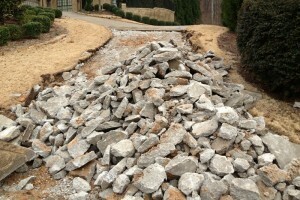 For any driveway repair, call Heath (205) 620-1818.